Extra narrow and sharp cutting head made of titanium coated stainless steel. Exactly the desired cutting length. Accurate by fractions of a millimetre. Durable high-performance Li ion battery. Up to 60 minutes operating time (instead of only 30 minutes). 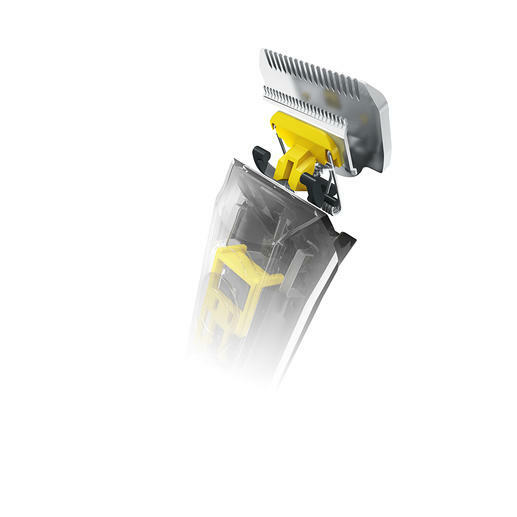 Removable cutting head for easy cleaning. 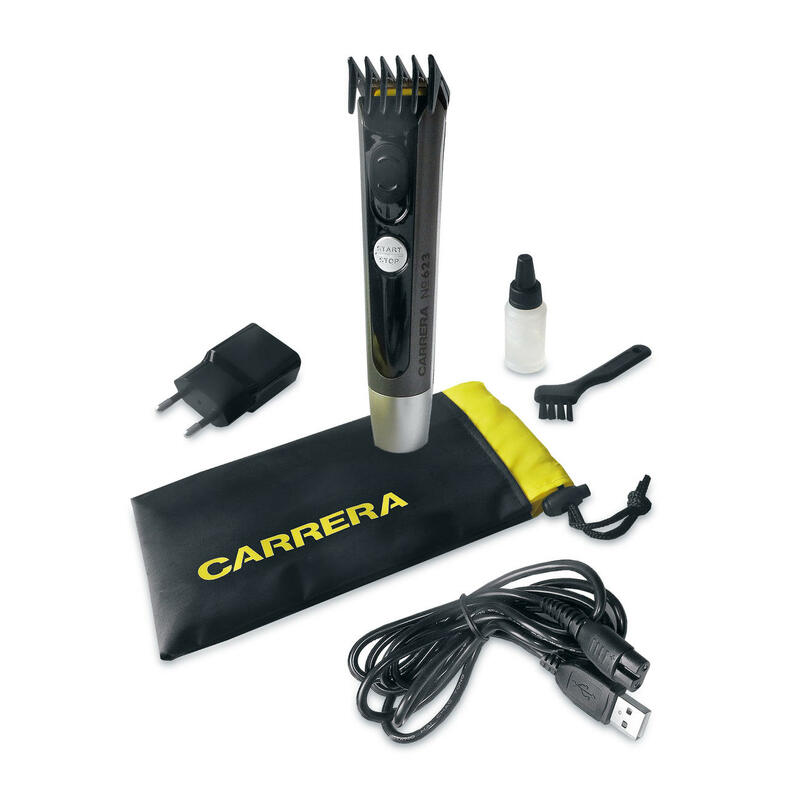 The perfect beard trimmer for short and longer hair. Winner of the Plus X Award “Best Product of the Year 2016/2017” for its high quality, design and ease of use. Also rated “excellent” in the Haus & Garten test*. 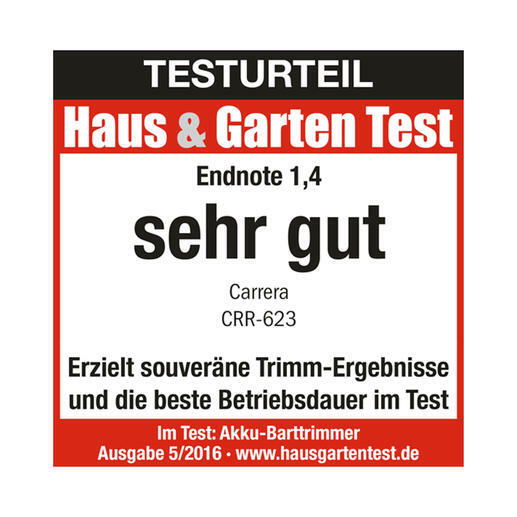 8 battery beard trimmers were put to the test for the Haus & Garten magazine. The award-winning CARRERA No. 623 was rated “excellent” (1.4). 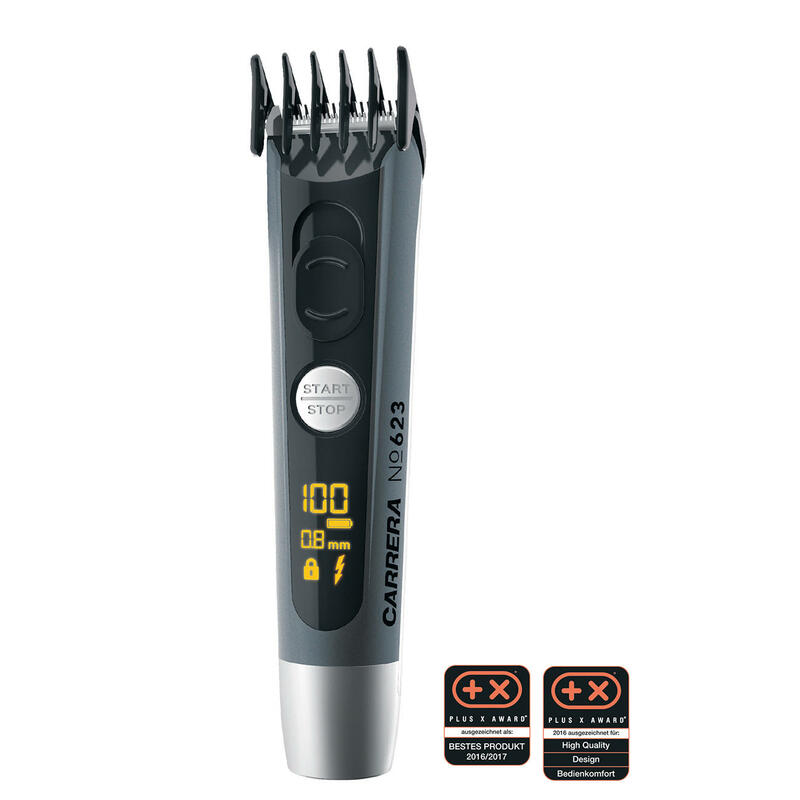 This was the only trimmer for both long and short hair that received top marks. According to the test it’s “handy, precise, high-performing and fast-charging”. And furthermore: “... a very good overall package without a single weakness”. With the flexible, 36mm (1.4") narrow cutting head (instead of often 40mm (1.6")), you can trim your full beard, chin beard or moustache even more accurately and easily. You can also use it to give sideburns and fashionable undercut hairstyles their distinctive contours. 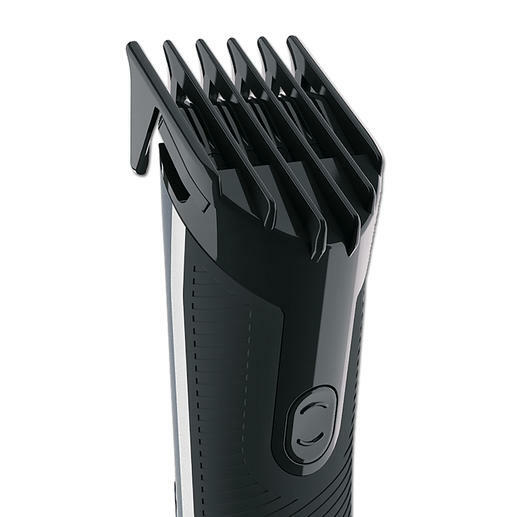 Plus, it’s ideal for trimming body hair for a well-groomed look. For cutting lengths of 4-14mm (0.2"-0.6"), insert the comb attachment which has 6 adjustable settings. 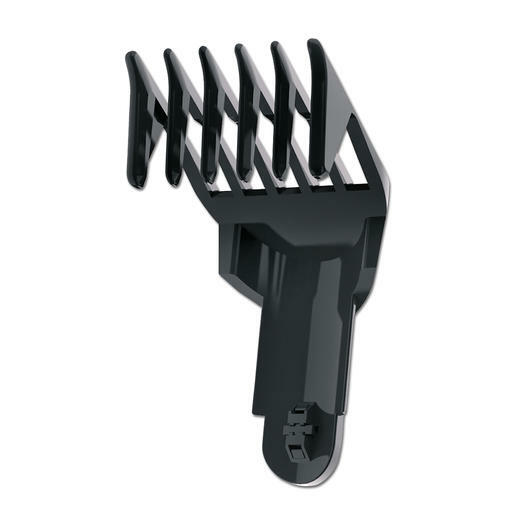 The long prongs control even stubborn beard hair perfectly. 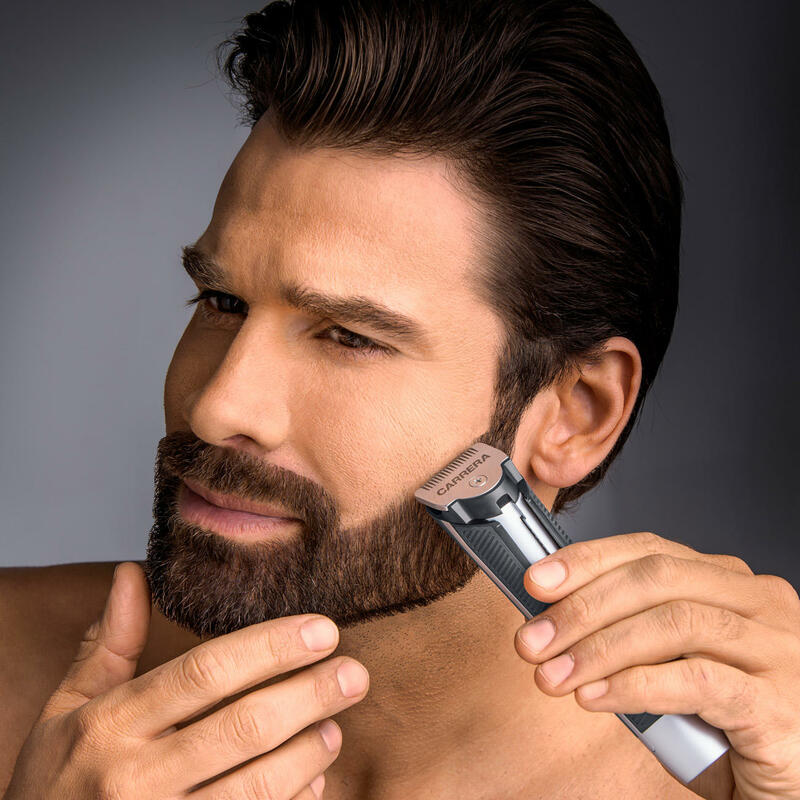 For a well-groomed three-day beard or a characteristic shaved head, use the fine setting with a 0.8, 1.2, 1.6 or 2.0mm (0.03", 0.04", 0.06", 0.08") cutting length. Charge time via USB or mains power approx. 90 minutes. (USB cable and power supply included). Fast-charging (5 min.) for 1 shave. Also operates directly from the mains (100-240V). 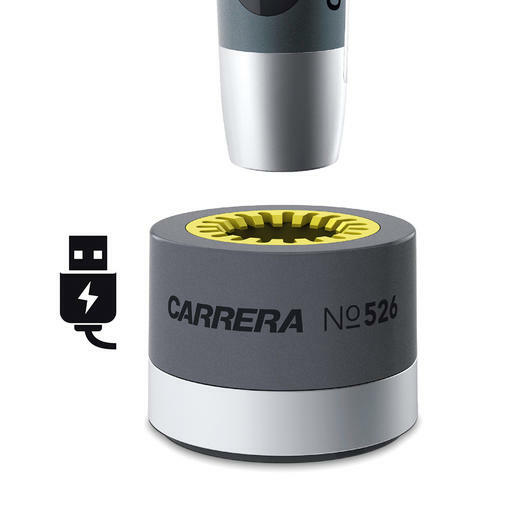 Sold separately: The CARRERA charging station. 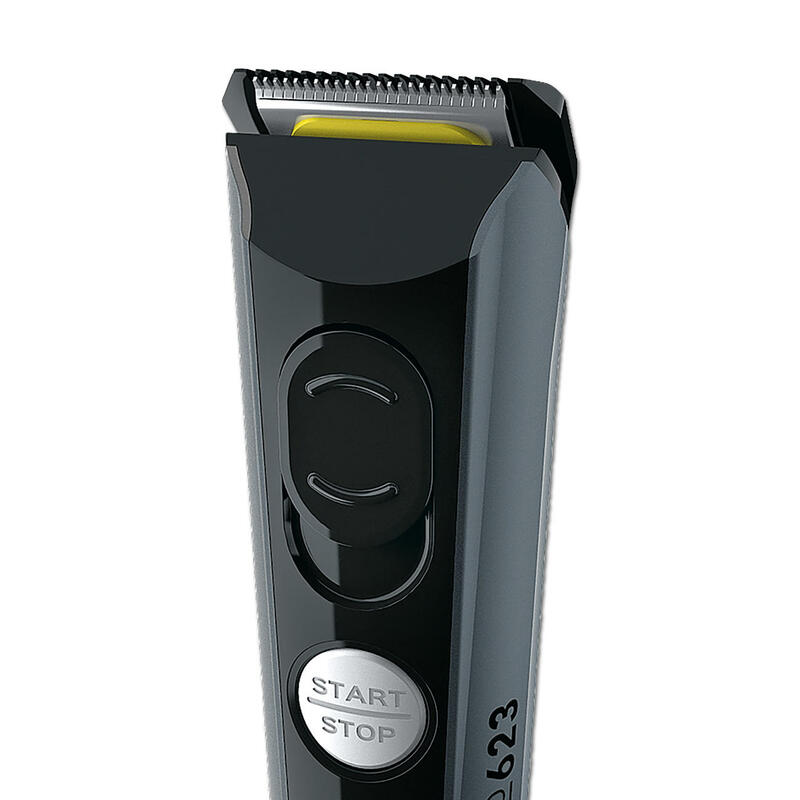 The LED display indicates the cutting length, battery state, travel lock and the request to charge. Size 15 x 3.4 x 3.1cm (5.9" x 1.3" x 1.2") (L x W x D). Weight 120g (4.2 oz).